Quick outfit of the day for you, I think I'm having a bit of an obsession with sheer shirts at the moment. Looking through my wardrobe I have about 7, including this shirt below from Primark. I wish I'd gotten this a size smaller as it keeps hanging off my shoulders. I think I may have found a new place to take photos as the light is way better. On another note- JEMs waters have been broken at 5am this morning and she's pretty out of it as she's had her epidural. Thats all what I've heard from her so fingers crossed babyJEM will be here by the end of the day. I'm hoping she hurrys up and pops her out, as her brother is going back home to NZ on Sunday. I think JEM is well and truely sickend off now as her facebook status updates are on about how she wants to be at home eating bree, or it could be due to the drugs kicking in. Flared Jeans- Topshop (from years ago- finally managed to fit back into them). 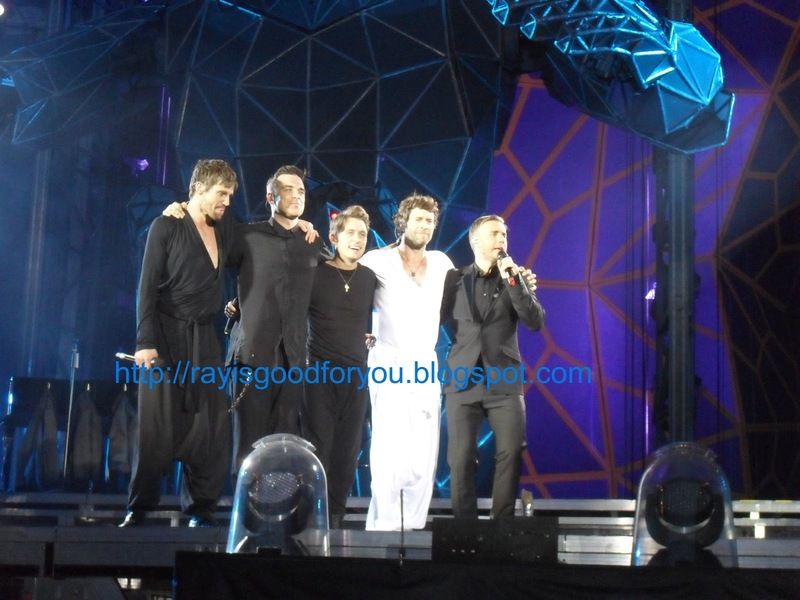 Oh here's another cheeky Take That photo for you..
Erm could I be any closer to the front?? Nope haha. The infamous Blog Stalker will be back tomorrow.